Stocks took a breather on Monday from their recent upward trek, with the Dow and S&P 500 registering small losses on the day. On Tuesday, the Dow marched ahead to yet another 5-year high on little economic news of note. Stocks gave back some of Tuesday’s gains on Wednesday following the Fed’s statement that the economy has stalled recently, as well as a preliminary report showing that the 2012 fourth quarter GDP declined slightly rather than expand by 1.0% as predicted. On Thursday the month ended on a down note, as new weekly jobless claims rose. This was all forgotten on Friday, as the major indexes jumped more than a percent on positive job and manufacturing reports. The Dow reached the 14000 mark for the first time since October 2007. Following the long MLK holiday weekend, the markets opened on Tuesday by continuing to push up against 5-year highs on positive earnings news from DuPont and Travelers. On Wednesday, the major indexes kept their winning streaks alive when it was announced that the US House of Representatives voted to move the debt ceiling resolution decision to May, which allows the US to at least temporarily continue to pay the bills. 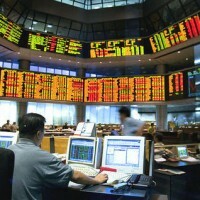 The Dow logged its fifth straight gain and tenth in the past eleven trading session on Thursday on encouraging job news. New US jobless benefits claims fell to a 5-year low. However, a disappointing earnings report from Apple dragged down the S&P 500 and NASDAQ. The week concluded on Friday with another uptick, as the S&P 500 crossed the 1500 mark for the first time in five years. The S&P 500 is now only 63 points from an all-time high, while the Dow is only 269 points from its all-time high. The major indexes finished mixed on Monday as a lack of economic news led to little movement in stocks. On Tuesday it was much of the same, with small gains managed by the Dow and S&P 500 on positive December retail sales numbers. The Dow’s five day winning streak ended on Wednesday. Still, losses were light, and the S&P 500 and NASDAQ had small gains. On Thursday the Dow rallied close to a 5-year high on news that the House is considering a plan to not oppose a short-term increase in the debt ceiling. US housing starts for December also rose more than expected. The Dow finally set a 5-year high on Friday as debt ceiling progress encouraged investors to buy more, at least in the short-term. Stocks took a breather on Monday, as investors took some profits from last week’s steep run-up. The markets slid again on Tuesday leading up to Alcoa’s kick-off of the fourth quarter earnings cycle after hours. Alcoa’s positive earnings report gave the major indexes a boost on Wednesday, as the Dow and S&P 500 recouped part of their losses from earlier in the week. On Thursday the rise continued with an 80 point gain by the Dow on positive job news. While initial unemployment claims rose more than expected, continuing jobless claims sank to their lowest level in more than four years. The S&P 500 also hit a 5-year high. The week ended on Friday with stocks essentially unchanged after a disappointing earnings report by banking giant Wells Fargo. The last day of 2012 was the best last day of a trading year ever, at least as far as the Dow is concerned which tacked on an additional 166 points on increasing optimism over a fiscal cliff solution. Trading resumed on Wednesday after New Years with a bang, as the markets reacted to the long-awaited, if not tardy, fiscal cliff solution from Congress. The 308 point Dow gain was its largest ever for the first trading day of a year. The rally stopped on Thursday following news that some Fed Reserve members are in favor of ending its bond-buying initiative to stimulate the economy. Still, the day’s losses were minimal. On Friday, stocks continued their upward trek on a job report that met expectations. The US unemployment rate rose marginally from 7.7% to 7.8%. The Dow finished at a 5-year high. The Dow and S&P 500 experienced modest losses on Monday following last week’s huge upswing, as slightly disappointing Black Friday sales dampened the mood a bit. Still, the NASDAQ managed a small gain. On Tuesday selling accelerated as word sperad that Republican and Democrat leadership were not making any progress on fiscal cliff talks. Stocks bounced back on Wednesday following remarks by House Leader John Boehner and President Obama expressing optimism over a deal being reached. On Thursday stocks zigzagged with each sentence uttered by the leading politicians to settle somewhat higher. The market closed the week on Friday with little fanfare, as US consuner spending slipped for the first time in six months.